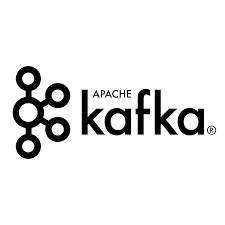 In this lab, we will work on setting up a Kafka environment, where a Producer and Consumer can communicate. Note : Please use ssh terminals as we will need to open multiple terminals. In this lab we will be using “kafka_2.11-1.1.0“. Go to the subfolder “kafka_2.11-1.1.0” created now. As explained in my previous tutorial, which can be accessed by clicking here, we can have multiple brokers working together as a cluster. The way these brokers identifies the brokers in the same cluster is via an application called zookeeper. Now let us work on starting the zookeeper first. Ensure the terminal remains opened, and left alone till the end of the lab. As we know the Producer and the Customer in a communication should be using the same Topic. Now let us create a new Topic named “MyFirstTopic” that will be used in our sample communication. Let us check the status of the Topic now. Now the broker is ready and listening. Both Producer and Consumer can connect to the agreed Topic (queue) in the server. In this example we will be using the console applications to input from Producer and to see if the Consumer can receive it. In a real life scenario, the Producer, Broker and Consumer will be in three separate hosts. However, in our lab we will run all the three in the same node. As the broker is already running, let us start the console application for Producer. If everything went smooth without any error messages, go to the Producer’s console, and type “This is a test”. Can we see the same message appearing in the Consumer’s console !! !